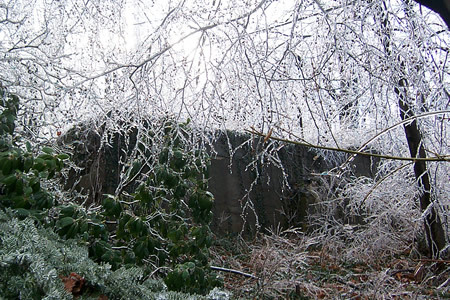 A photo I took of the ice storm in December of 2008 in upstate New York. The power was out for days and it was well below freezing. Before I had my 72 hour survival kits put together. Water and Water Bowl, one gallon (4 liters) per dog per day. For a cat, it is about 1 pint. You are welcome to comment with your own ideas for building 72 hour kits.